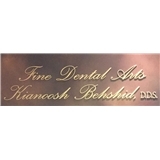 Fine Dental Arts (Bellevue) - Book Appointment Online! She had the opportunity to experience different method of Root Canal Therapy, placing Implants, multi unit of fixed prosthodontics and full mouth reconstructions. She graduated from that program in 2003. After that she went for another year of post-doctoral residency as General Practice Residency, in York hospital in Pennsylvania, affiliated with University of Pennsylvania. She got to learn about IV Sedations and dealing with difficult emergency cases and handeling truma patients, performing a lot of surgeries and root canal therapy on kids and adults with special needs. She graduated from that program with great success in 2004.